Quite honestly, the biggest hits we get from our website are when I put up music. However, the newsletters give a little bit of insight into what we were trying to accomplish by building a following and doing everything necessary to promote Silver Laughter. 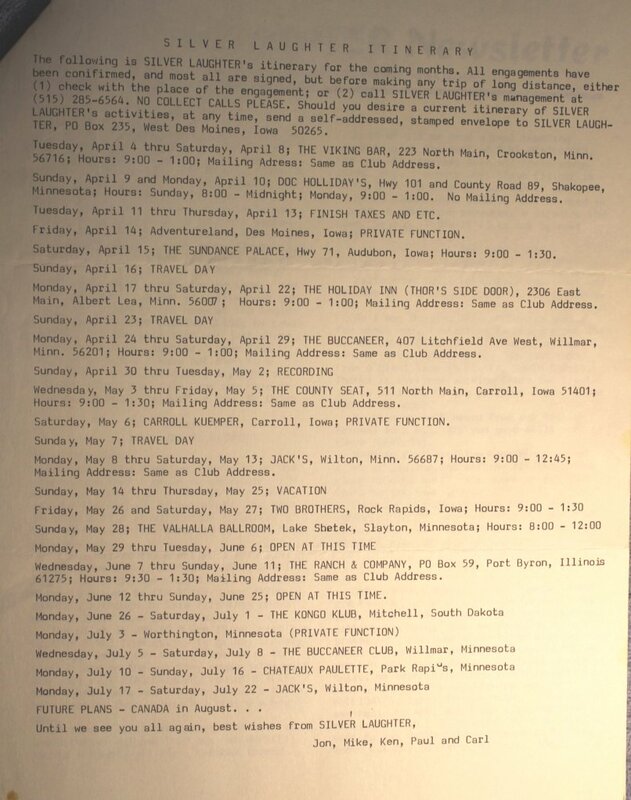 Page 3 of the March 1978 newsletter shows a pretty packed itinerary for the boys. You will notice there is time in there for finishing up the recording of “Sailing On Fantasies”. Originally titled “Sailing Ships on Fanta-SEAS”, we decided to shorten the name and let people figure out the pun for themselves.